Buddy Patrick is the Founder and President of Windy Hill Pictures. A New Orleans native, Buddy received a Bachelor of Business Administration from the University of Mississippi in 2008 where he studied corporate finance. In 2011, he earned a Juris Doctor from Loyola Law School, receiving a certificate in civil law. He is licensed to practice law in the state of Louisiana. Upon graduation from law school, Buddy recognized the rising number of motion picture productions coming to Louisiana. 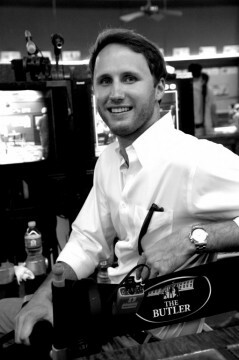 After negotiating several film finance deals, he started Windy Hill Pictures to make capital investments, produce motion pictures, and continue the growth of projects in Louisiana.